One of America’s popular fast food items may be loaded with antibiotics. Consumer Reports recently graded the top 25 burger chains and found only two that served no-antibiotic beef. Question: Who are the two burger chains? Well, I can tell you it’s not McDonald's, Burger King, Five Guys, Sonic, White Castle or A&W. Those fast food chains along with 16 others all received a failing F. And that’s because none of them had a policy that limits antibiotics in their beef. Now you may be thinking that Wendy’s got an A but no, they were given a score of D-minus. Slightly better because they are planning to get a small amount of beef from cattle owners that minimize antibiotic use. So who are the two burger chains that were given an A for serving beef that is 100 % raised with no antibiotics? They are BurgerFi and Shake Shack. Question: Why are healthy animals being given antibiotics? This a huge concern because the beef industry accounts for 43% usage of medically important antibiotics. And medically important antibiotics include erythromycin, amoxicillin, and tetracycline. These are used to treat human disease. So why are they being given to cattle? Well, cows are first raised on the range where they get to eat grass. But then they’re moved into tight quarters with each other and fed corn and soy. And grain can cause infections and liver abscesses which then needs to be treated with antibiotics. Question: How common and serious are antibiotic-resistant infections? This is one of the biggest public health challenges right now. The CDC says that at least 2 million Americans contract an antibiotic-resistant infection every year. And roughly 23,000 die. It’s been estimated that 20% of the infections are related to food. Now all animals have bacteria in their intestines. And giving healthy animals antibiotics can contribute to this pressing health problem because resistant bacteria can not only survive but also multiply. So it’s very important to let fast food places know that antibiotics in animals are not acceptable. And you can take action by visiting Consumer Reports’ website to sign their online petition. 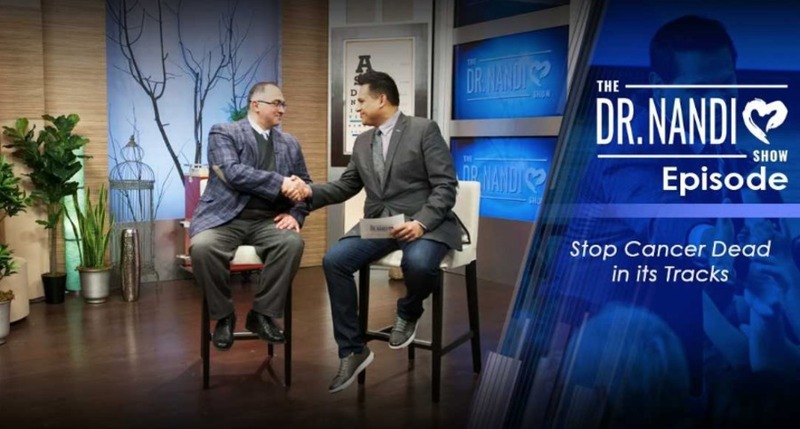 If you’d like to “Stop Cancer Dead in its Tracks”, tune in this Sunday at 4 pm for The Dr. Nandi Show. Dr. Nandi and cancer experts will discuss the importance of early detection, treatment options and survival rates for some of the most common cancers. And a cancer survivor shares how she discovered a cancerous lump in her breast and her road to treatment and recovery.